The Battle of Narva, a battle between Charles XII of Sweden and Peter the Great of Russia (Episodes 34 and 35) and was a major disaster for the Russians. While the Russian’s lost tens of thousands of men, Peter learned a valuable lesson. He knew that the Russian military needed to be modernized because it would continue to suffer defeats like this to his European enemies. 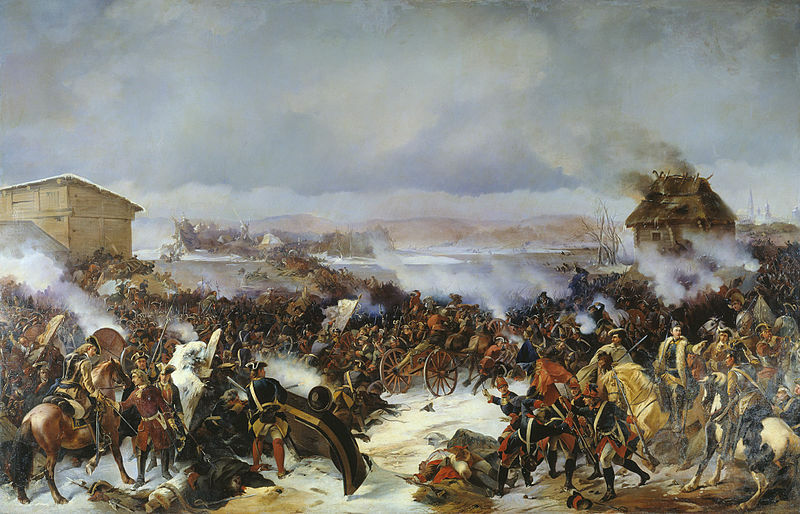 One of the early battles of the Great Northern War, Narva was fought on November 30, 1700. Charles XII sent his small army to relive the troops stationed in Narva against a vastly larger Russian Army. Peter the Great wanted to expand his empire to the north. He had put together an alliance with Denmark-Norway and August the Strong of Poland-Lithuania. Charles, with the help of the British Royal Navy and the Dutch Navy landed near Copenhagen to force the Danes and Norway out of the alliance in August of 1700. From there the Swedish army with backing of Estonian and Finnish troops headed to Estonia. By early November, the Russian army, numbering about 35,000 men, surrounded Narva, which while in Estonia, was a part of the Swedish Kingdom. Charles XII decided to take his army of 10,000 to save his embattled comrades. Charles led the attack with his 8,000 troops (2,500 were inside the city) aided by General Carl Gustav Rehnskiold. Peter, for his part, had left Narva a few days before the Swedes arrived. Many in Europe at the time viewed this as an act of cowardice. 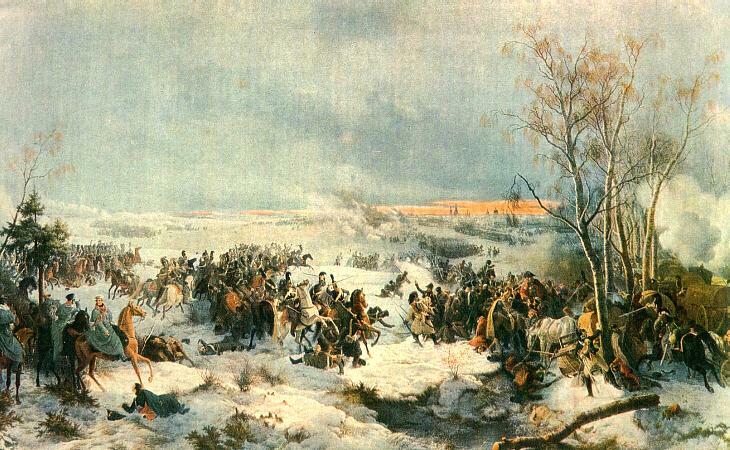 On the day of the battle, the weather was horrific with a blizzard blowing in the faces of the Swedish army. At midday, the winds switched and blew directly into the face of the Russians which caused Charles to take advantage and attack. The actual battle itself was a rout with Charles blowing through the undisciplined Russian army. While retreating the bridge over the Narova river collapsed with over 6,000 Russian soldiers falling into the frozen river and drowning. Almost all Russian artillery pieces were lost during the battle leaving Russia indefensible. Had Charles decided to carry the war into Russia, there would have been no way for them to fight back. Shockingly, Charles decided against pressing the attack and turned southward to attack August the Strong of Poland-Lithuania to teach him a lesson. This delay was all Peter needed to regroup and learn from the terrible lesson taught to him be the loss at the Battle of Narva. Four years later, Peter returned with 45,000 men, far better trained and equipped than before and took the town. The Swedish army was destroyed with most of the inhabitants killed. Russian losses were severe with over 10,000 killed or wounded. 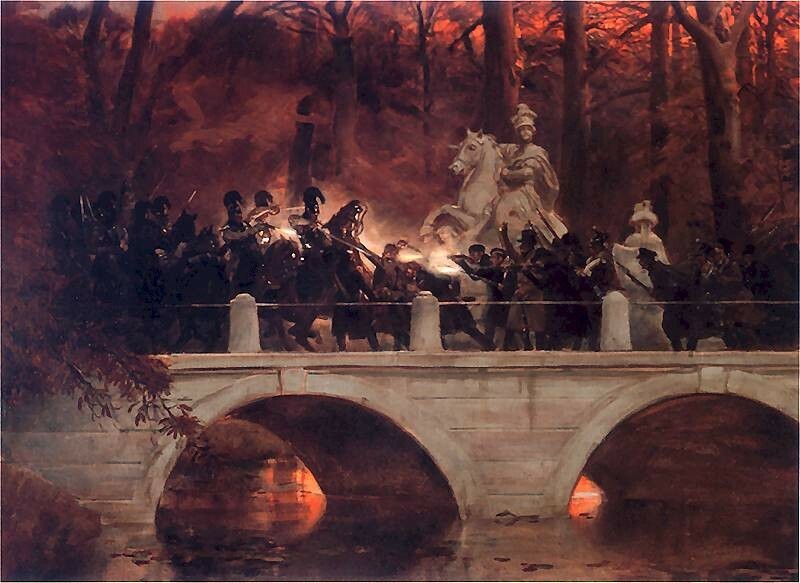 On this day in 1830, Polish cadets, tired of being under the thumb of Russia after being partitioned post-Napoleonic wars, decided to revolt to free Poland from tyranny. While initially successful locally, they were eventually crushed by the better equipped and numerically superior Russia army. Poland had been partitioned between Prussia, Russia and the Hapsburg Empire in 1795 and completely enveloped by Austria, Russia and Prussia in 1815 due to its aid to Napoleon. Poland was supposedly a autonomous country with a constitution but was allied to Russia through the Tsar as King of Poland. Increasingly, over the years, the Tsar’s, Alexander I (Episode 53) then Nicholas I (Episode 56) disregarded the constitution entirely. Instead they made Poland their fiefdom and did as they pleased. This stewed a growing animosity among the entire population and in particular, the nobility and military. In 1815, Alexander I appointed Grand Duke Constantine Pavlovich, his brother, as viceroy of Poland. 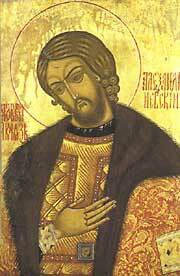 Constantine was considered a tyrant by the Polish people who despised him. On November 29th, things began to boil over. A group of young cadets, led by Piotr Wysocki attacked the Belwedere Palace where the Grand Duke lived, trying to capture him. They were unsuccessful as Constantine escaped wearing women’s clothing. Prince Adam Jerzy Czartoryski tried to negotiate a peaceful resolution with the Grand Duke who initially agreed to be lenient with the cadets but radical members of the Polish military and government rejected the offer. All but two of the General’s of the Polish army went over to the rebels. A provisional government was formed with General Jozef Chłopicki being named Dictator of the Uprising. Chlopicki did not favor a war with Russia as he felt there was no way it would be successful but he bowed to the pressure of the people. He tried to quell the uprising by appealing to Tsar Nicholas I by sending Count Drucki-Lubecki to St. Petersburg. The mission was futile. The Tsar demanded full capitulation or face military intervention. The Sejm, the governing body of the Polish government declared that the union between Poland and Russia was null and void on January 25, 1831. They proclaimed that “the Polish nation is an independent people and has a right to offer the Polish crown to him whom it may consider worthy, from whom it might with certainty expect faith to his oath and wholehearted respect to the sworn guarantees of civic freedom.” It was, for all intents and purposes a declaration of war. Without going into details, the war did not go well for Poland. By October 5th, 1831, the last of the rebellious troops crossed the border to Prussia and laid down their arms. Over 40,000 Poles were either killed or wounded. The Russians suffered around 23,000 killed or wounded with an additional 5-12,000 dying of disease. While many historians believe that Poland could have won the war had they been more unified but the fact remains that the resources of Russia were far too great for a successful Polish outcome. On this day in 1949, world renowned ballet star Alexander Godunov was born in Sakhalin, Russia, then part of the USSR. Godunov started dancing in Riga, Latvia at the age of 9 where he met and became friends with future ballet star Mikhail Baryshnikov. Over the years Godunov continued to move upwards in the ballet world eventually ending up in 1971 with the Bolshoi Ballet, the oldest ballet troupe in the world. He was named “premier danseur” shortly after joining. Because of his dashing good looks, he became a Soviet film star acting in movies by acting in The Thirty-first of June by J. B. Priestley and as Vronsky in Anna Karenina. But he was disillusioned with Soviet life despite living a coddled life. At the height of Cold War tensions in 1979 while on tour with the Bolshoi in New York City he defected which caused a major international diplomatic row. As soon as the KGB learned of his defection they took Godunov’s wife, Lyudmila Vlasova into custody and put her on a plane heading to Moscow. The flight was blocked form leaving as U.S. diplomats demanded that they be allowed to ask Vlasova if she was leaving under her own free will. Leonid Brezhnev and U.S. President Jimmy Carter then got involved in the incident. The State Department had prepared a U.S. passport for Vlasova but she declined the offer and she left for home three days after getting on the plane. She divorced Godunov in 1982. Godunov joined the American Ballet Theater under old friend Mikhail Baryshnikov as the principle dancer. He and Baryshnikov has a falling-out in 1982 and he was fired. From here Godunov traveled the world as a guest dancer until he decided to try his hand again at acting in Hollywood. His roles were varied, from the Amish farmer in Witness to the evil German Karl in Die Hard to a narcissist piano maestro in The Money Pit. He met Jacqueline Bisset whom he stayed with until 1988. Godunov became a naturalized U.S. citizen in 1987. Tragically, Alexander Godunov died in 1995 at the age of 45 supposedly of complications of alcohol abuse and hepatitis. General Alexander Suvarov, one of the few generals in military history to have never been defeated in battle was born on this day in 1729. He is credited with being responsible for the foundation of the Russian school of military art. Because of his numerous successes, his titles include Prince, Field Marshall, Count and Generalissimo. A sickly child, Suvarov, decided to work through his physical weaknesses and go into military training despite his father’s objections. He was also a very studious boy, learning multiple languages and studying the works of Plutarch, Julius Caesar, Quintus Curtius, Charles XII, and Cornelius Nepos. When he was twelve, General Abraham Gannibal (someone who will get a podcast about his life one day) told Alexander’s father that the boy should be allowed to go into military service because of his great intellect. When he turned 18 he entered into military service and saw his first combat during the Seven Year’s War (1756-1763). By 1763 his brilliance was already noted and he was elevated to regimental commander. Quickly he moved up the ranks to Brigadier then Major General. From 1768-1772 he helped to defeat the Polish Confederation of the Bar, capturing Krakow. which led to the first partition of Poland. 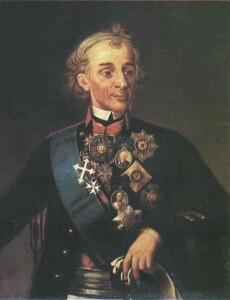 Suvarov was a key general during the First (1768-1774) and Second (1787-1792) Turkish Wars, winning battle after battle. He was a favorite of Catherine the Great which eventually led him to fall into disfavor when Emperor Paul took over the Russian Empire. Suvarov’s legacy was as great as he was as a military leader. His book, the Art of Victory written in 1795-6 was a masterpiece. He told his students that to win battles three things were necessary, “speed, assessment, and attack” with speed being most important. As he put it, “One minute decides the outcome of battle, one hour the success of a campaign, one day the fate of empires… I operate bot by hours but by minutes.” Suvarov also believed that flexibility was also one of the most important features of a great military leader. Unfortunately, this was lost on subsequent generations of Russian generals. I have plans to put together a whole podcast episode on General Suvarov in the future as he was one of the most compelling figures throughout Russian history. 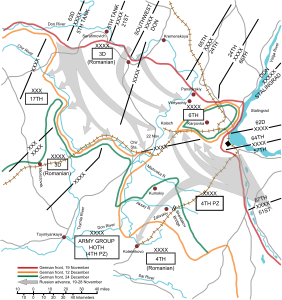 Movements of both the Soviet Red Army and German Army Group South are followed here. On November 19, 1942, Operation Uranus began under the generalship of Georgy Zhukov during the Battle of Stalingrad (Episode 83). It marked the turning point in the Great Patriotic War (World War II) where the Nazi’s began their torturous retreat back to Germany at the cost of millions of lives. The Battle of Stalingrad was a fierce battle that began on August 23, 1942 and ended on February 2, 1943 with the destruction and surrender of the Wehrmacht Army Group Southled by Fredrick Paulus. The battle was one of the costliest in terms of life in human history with an estimated 750,000 German and allied troops being killed, wounded or captured and 1.1 million Soviet soldiers and citizens being killed or wounded. The Soviet strategy once the Germans entered the city of Stalingrad was to “hug” their enemies by staying in as close of a proximity to them as was possible. This negated the superior German firepower, especially their air support and artillery. Despite these tactics, the Luftwaffe conducted thousands and thousands of sorties which caused massive destruction to the city and a great loss of life on both sides. Three months into the fighting the Germans had occupied 90% of Stalingrad but could go no further. The rallying cry of the Soviet Red Army was “Not a Step Back!” and “There is No Land Behind the Volga!” Stalin had already sent out orders that anyone who retreated would be shot along with their entire family back home. The incentive to fight to the death was great on both sides. Slowly but surely, the Red Army began to encircle the embattled German forces in the city which slowed then stopped supplies from reaching the now desperate men. With fall, then winter approaching, the Soviet military command knew that it was only a matter of time before they would emerge victorious. It was then on November 19th, that Operation Uranus began with flanking maneuvers and a over 18 battalions and numerous tank and motorized brigades began the attack. The Battle of Krasnoi, while not well known, was a smashing victory for the Russian Army against the retreating Grand Armee of Napoleon Bonaparte. Having been smashed in the Battle of Moscow, Napoleon believed he could first head to his supplies in Smolensk, then try to head to Minsk where another storage site was available. Unfortunately for Napoleon, the Russian winter came early and hard. His men were being battered by the sub-zero temperatures, snow and constant attacks by Cossack horsemen. Napoleon had arrived at Krasnoi on November 9th and decided to wait there for the armies of Marshall’s Davout and Ney. He also believed that there was no way for the Russian’s to be close as they must have also suffered greatly due to the cold and snow. How wrong he would prove to be. General Kutuzov and General Miloradovich were travelling on a parallel road to the south of the French. Scouts for the Russians believed that there were only a small number of French troops in Krasnoi so they decided to swing northward and smash them. 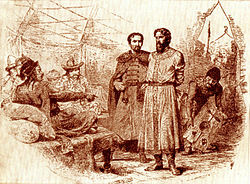 By the time all the French troops reached Krasnoi on November 15th, so did the Russian army. Instead of just attacking with a full assault, Kutuzov decided, after realizing that the whole of Napoleon’s army was there, that they should launch smaller attacks to harass the disorganized French. Having vastly larger number of soldiers and artillery, Kutuzov’s decision has baffled historians for years. Day after day, the Russian’s and French fought valiantly but Napoleon’s men were by now starving, frustrated and tired. They had to get to one of their supply depots in the town of Orsha, some 25 miles away. Napoleon feigned a major attack which scared Kutuzov and Miloradovich into backing off. Instead, they decided to lob artillery fire into the French lines. Finally, by November 18th, Marshall Ney, with 11,000 troop decided to attack Miloradovich and his 12,000 strong me. At first, Ney’s men broke through two lines of the Russian infantry before being repulsed by the third line. The French refused to surrender, with the remaining 2,000 soldiers heading into the forest. When Ney reunited with Napoleon at Orsha, he made it there with only 800 men. What has puzzled historians and angered Tsar Alexander I was that Kutuzov refused to press his advantage and destroy Napoleon who was terribly weakened. While the Russians could claim a major victory, having captured 20,000 French soldiers, and killing between 6-13,000, it was a hollow victory as they should have crushed the French completely. Kutuzov was smart not to have pressed his advantage as his men were exhausted and he was a general who was deeply concerned with the health and morale of his men. Because of that he was greatly loved by the Russian people which caused Alexander I to make him the Prince of Smolensk. Russian Author Dostoyevsky Condemned to Death!!! 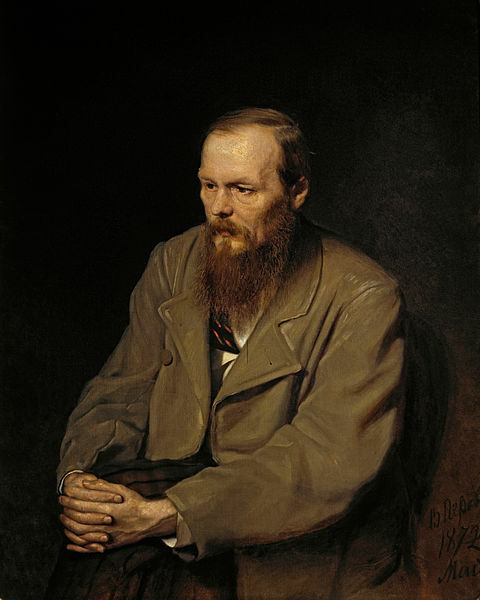 Portrait of Dostoyevsky painted by Vasily Perov in 1872. On November 16, 1849, the famous Russian author Feodor Mikhailovich Dostoyevsky (also spelled Dostoevsky) was condemned to death for his association with the Petrashevsky Circle, a group of liberal intellectuals and commoners who discussed the need for change in Russia. 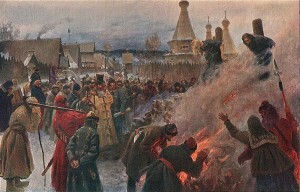 Reactionary Tsar Nicholas I was so frightened of the group that he had them arrested and condemned to death. The sentences were commuted but many had to face years imprisonment for their actions. There were approximately 25 people in the Circle, most of whom were in their 20’s. A mock execution took place to ‘teach them a lesson.’ Dostoyevsky served four of the eight year sentence doing hard labor in Siberia. Upon his release he was briefly forced to serve in the military but was released from that due to poor health. Considered by some to be the greatest Russian literary figure some of Dostoyevsky’s works include: Crime and Punishment, The Idiot and The Brothers Karamazov. His novels were considered to have influenced many great writers such as James Joyce, Ann Rand, Anton Checkov, Ernest Hemingway and Jean-Paul Satre. After his release from prison, he published a number of magazines and traveled through Europe. He face two major hurdles in his life, one was that he suffered from epilepsy and the other was that he was a pathologic gambler. He was often broke and was forced to beg for money. Feodor Dostoyevsky died on January 26, 1881 of a stroke one day after having his home searched by the Tsarist secret police looking members of the Narodnaya Volya (People’s Will) who were involved in the assasination of Tsar Alexander II. His tombstone has the following epitath:Verily, verily, I say unto you, Except a corn of wheat fall into the ground and die, it abideth alone: but if it die, it bringeth forth much fruit (John 12:24).